43 people have been killed and 239 injured in three blasts that rocked Istanbul’s Ataturk airport, according to Turkish officials. Foreigners could be among the dead. The blasts occurred in the airport’s international arrivals terminal. Turkish Prime Minister Binali Yildirim confirmed to the media that the death toll from the attacks has risen to 43, adding that foreigners could be among the victims. Five of those killed in the attacks were officers. Another 147 people were injured in the blasts, Turkish Justice Minister Bekir Bozdag said. Yildirim also stated that the attackers arrived at the airport by taxi and that initial findings point to Islamic State responsibility (IS, previously ISIS/ISIL) for the attacks. “It showed once again that terrorism is a global threat and defeating it requires global cooperation. All early indications suggest that the IS was behind the atrocity, but the investigation is ongoing," the Prime Minister said. 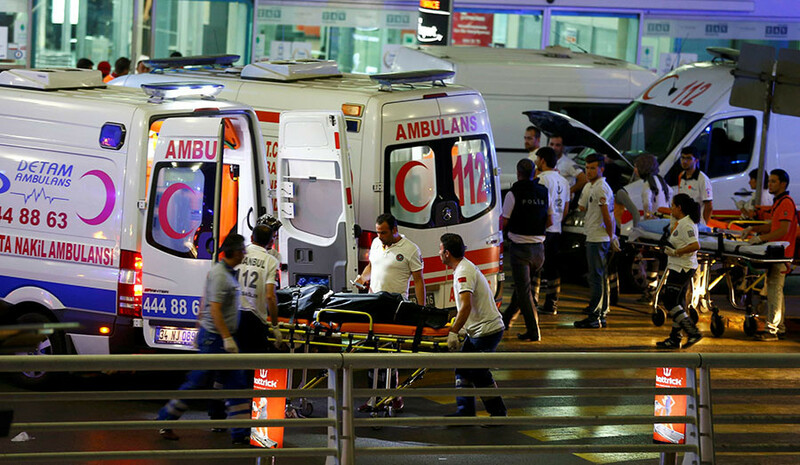 The attacks on the airport involved three suicide bombers, according to Yildirim. Investigation revealed that all three opened fire before detonating their explosive devices. On Tuesday evening, three suicide bombers stormed the airport with assault weapons and opened fire before blowing themselves up. One of the attackers fired shots from an automatic rifle in the departures hall, according to Reuters. All three reportedly detonated their explosive devices around the arrivals hall. Four armed men were reportedly seen running away from the terminal building after the explosions, according to Turkey’s NTV channel. 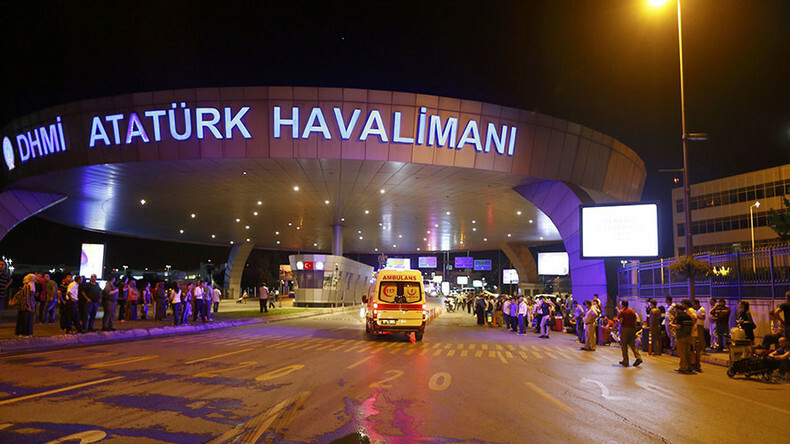 According to some Turkish media, the blasts targeted two separate locations in the airport. The deadly blasts coincided with the second anniversary of the declaration of the so-called Caliphate by the terror group as well as the last week of the holy month of Ramadan, during which IS called for increased attacks. Many people caught in the blasts and near the airport posted photos and videos from the scene, showing the destruction caused by the explosions as well as people hiding in various places in search of safety. Turkish President Recep Tayyip Erdogan made a statement strongly condemning the attack. Earlier, Reuters already reported that two suicide bombers blew themselves up in the airport by detonating explosives just before the security checkpoint at the international terminal. According to eyewitness accounts cited by Reuters, one of the assailants “randomly opened fire” in the terminal prior to the blasts. Another witness said the initial two explosions were followed by a third one preceded by shooting. “I saw how one terrorist accessed the airport, and he had an AK47 and shot civilians… Turkish police wanted to kill him, and after that I heard the bomb explosion,” Ahmed Furkan Gurtuna, who works as a traffic police officer at the airport and was at passport control at the moment of the attack, told RT. Police reportedly responded with fire against some suspects at the international terminal entry point of the airport. Following a temporary halt to flight arrivals and departures from Ataturk Airport, all flights were successfully resumed. Ataturk Airport is Turkey’s biggest, and the third busiest in Europe after London’s Heathrow and Paris’s Charles de Gaulle. Its total passenger traffic was 61 million people in 2015.